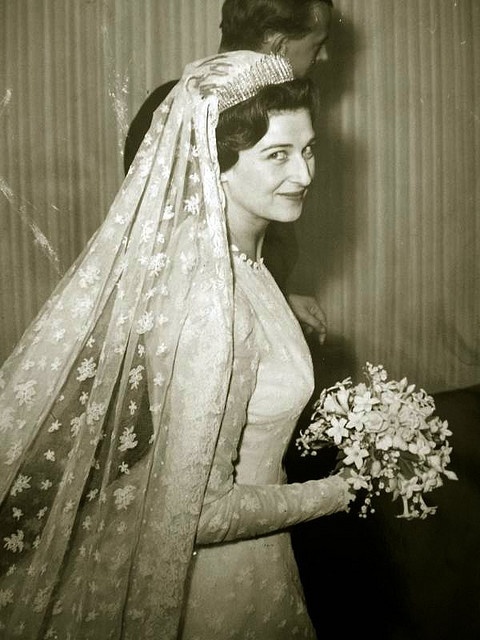 Princess Margaret’s wedding day. When we passed through the Square this evening the Cathedral bells were pealing merrily. Gerald and I went in to the Student’s Revue which we thoroughly enjoyed. We arrived home in time to hear Princess Margaret and her husband Antony Armstrong Jones leaving Westminster Abby. 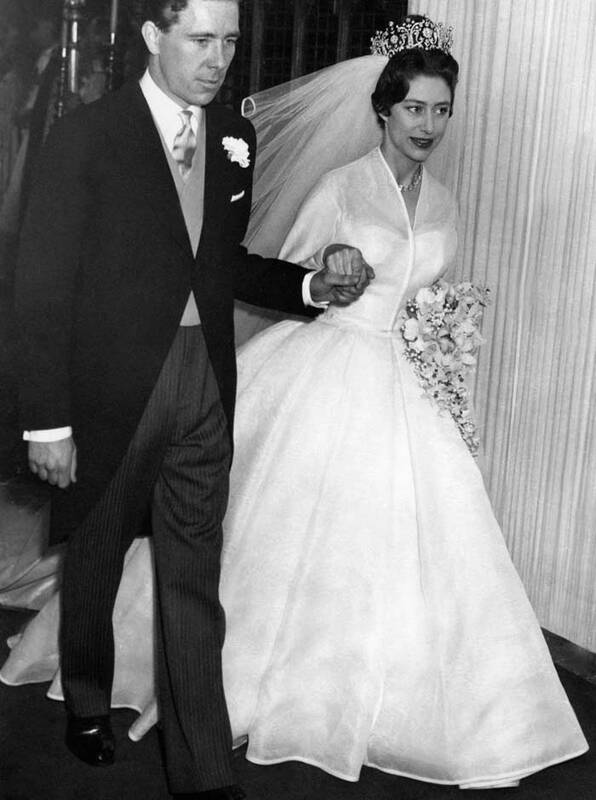 Princess Margaret’s beautiful dress, described by Life as ‘the simplest royal wedding gown in history’ and by Vogue as ‘stunningly tailored’ caused quite a stir. It was designed by Norman Hartnell, who clearly knew all that is worth knowing about necklines. Any brides contemplating a dress that requires the use of adhesive tape take note. Do I sound like Ngaire? PS The Student’s Revue seems to have been less lavatorial than usual, perhaps in deference to the Royal Wedding. If you have a moment, there’s a newsreel of the wedding here. Broadcaster Richard Dimbleby’s commentary is fabulous, and I can imagine Ngaire leaning in and agreeing that ‘cars are not always easy to get out of‘. 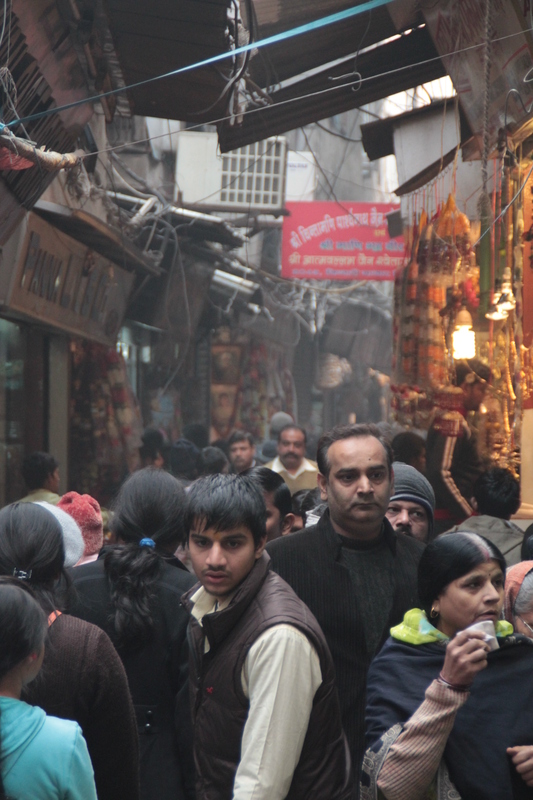 As for ‘the congregation too are uplifted by the mystical union’. Priceless. 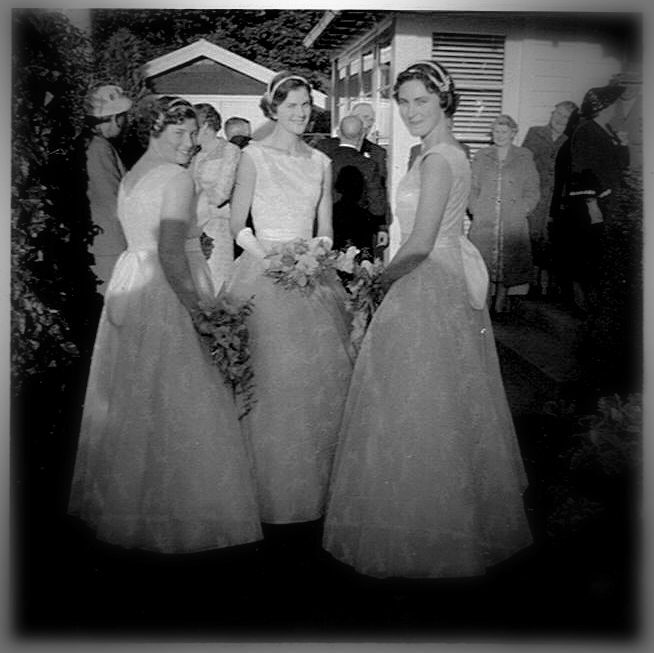 My mother Carol was just nineteen in 1955, the perfect age, at least in Ngaire’s opinion, to get serious about marriage. In fact, Ngaire had been serious about marriage for years, progressively stocking a carved camphor-wood box with household linens, china, silverware and kitchen essentials. Mum was still extracting new tea towels from The Box when I was a teenager (by which time the The Box was running on Australian TV, and schoolteachers, fresh from the city and calling themselves Ms, were telling girls like me that we could be and do anything we wanted). Another thing Ngaire was serious about was breakfast (along with lunch, dinner, morning and afternoon tea and supper). 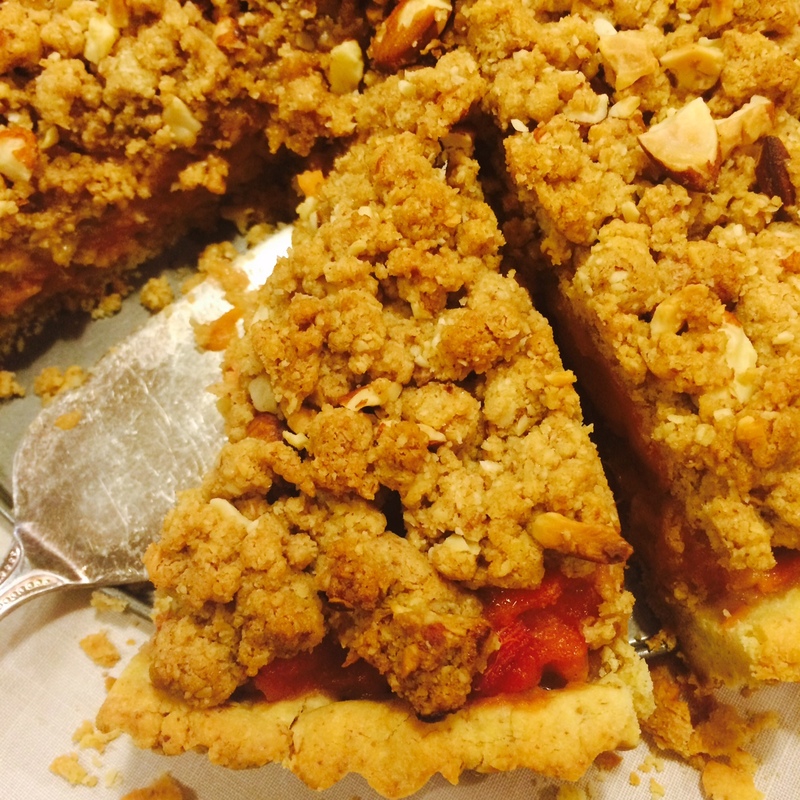 She felt very firmly that nothing worthwhile could be achieved on an empty stomach. 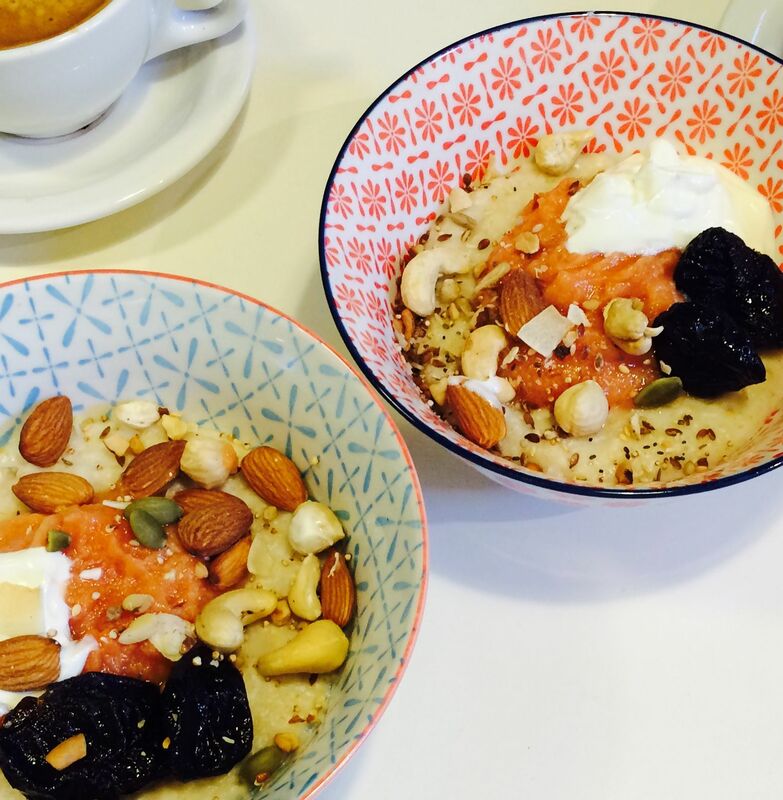 I tend to agree (about breakfast at least) and like to have stewed fruit in the fridge to dollop on my porridge. 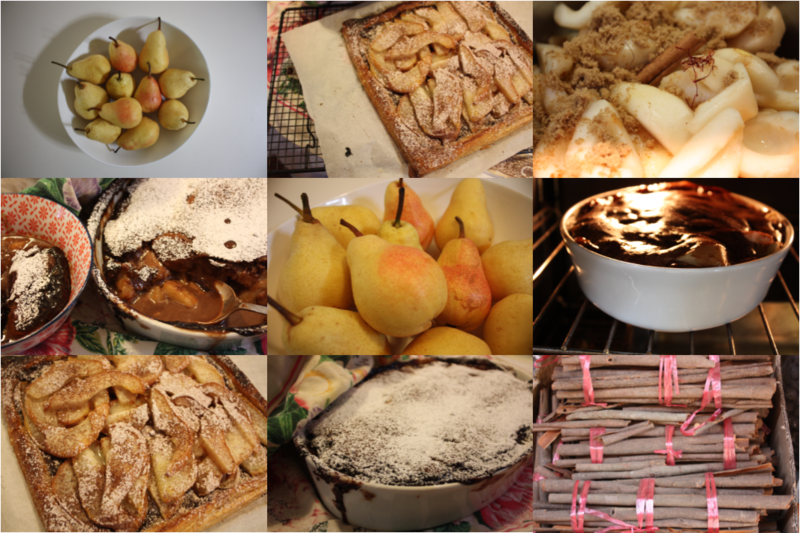 Today it was quince (I kept some back when making paste) and prunes, with some yoghurt and nuts. PS. I came across Married before Breakfast (1937) when searching about for a title to link breakfast and marriage. I’ve never seen it, but the synopsis is truly intriguing. After a leading razor company pays inventor Tom Wakefield a quarter of a million dollars not to publicize a hair-removing shaving cream that makes razors obsolete, he makes plans to take his socialite fiancé June Baylin on a glamorous world cruise. However, before that happens he wants to spread his good luck to his friends and falls into all sorts of romantic intrigue in doing so. You couldn’t come up with a plot like that on an empty stomach. 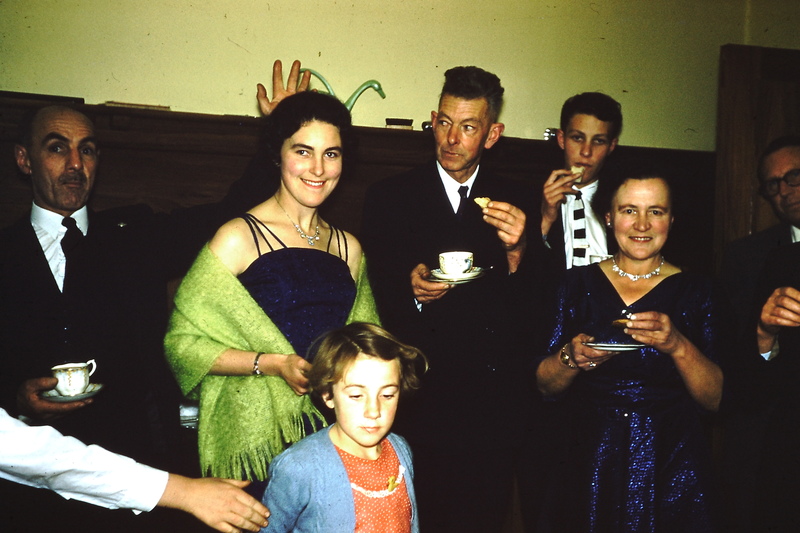 My grandmother Ngaire was related to the Harrisons of Christchurch in all sorts of complicated ways. With twenty-three children in the Harrison family, it was probably hard not to be related to them. The Harrisons’ house ended up on Francis Avenue when their farm was subdivided around 1910, and a number of the children built in the street as they married and left home. 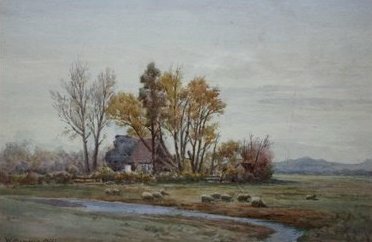 William Menzies GIbb’s painting ‘A bit of old Christchurch’ is of the original house, with the Port Hills in the distance. Gertrude Harrison (who is said to have commissioned the painting) was married off to Ngaire’s father after the death of his first wife, and while she proved to be a less than tolerant stepmother, she was a wonderful cook. Given this I’m sorry that I had no success with her Chocolate Roll, but I have had more luck today with her sister Ollie’s Never Fail Sponge. I’m not sure if that would please Gert or not! I added a generous quantity of good cocoa to Ollie’s recipe and turned it into a roll. The result was not quite the light-as air sponge I was hoping for, but an even better pavlova-meets-cake concoction with a chocolate fudge centre. As good as this is, I’d still like to master a proper chocolate sponge roll – I’ll just wait for our cholesterol levels to settle down. Beat eggs well. Add bicarb. and beat well. Add sugar and beat for 3 minutes. Add sifted flour, cocoa and cream of tartar and mix through. Bake in greased and lined lamington or slice tray at 180º for 10 – 15 minutes. Turn out onto sugared grease-proof paper and roll up in the paper while still warm. 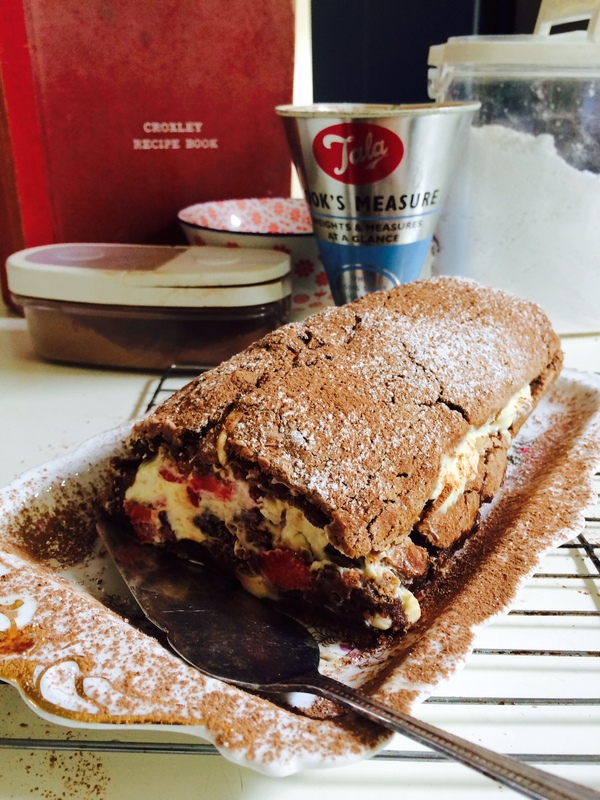 When just cool, gently unroll and fill with strawberries and cream then roll up again. Dust with cocoa and icing sugar. and Ngaire celebrates her birthday. We arrived at Bombay at 12.30 pm and went ashore at 2.45 pm when we commenced the Bus Tour organised by the British Women’s League of Mercy (£1 each)…The heat was slightly more bearable that that of Aden. We passed the Laundry where all the citizens send their washing. Men stood in the water and beat the clothing against concrete slabs. How on earth anything comes out white is a mystery, but our courier assured us that she sends her sheets and pillowcases there and they are returned washed and ironed, beautifully – 1/6 for a week’s wash.
Further along we heard some cheering and musical instruments and found a bridal procession. The bridegroom was arrayed in glittering gold and flowers…He was being led along the main street by his friends and followers, to the home of the bride. At 1.15pm we passed the ‘Stratheden’ sailing northwards. Poor things. They have to pass through the Red Sea. The SW coast of India seems to be covered with jungle and very seldom is a house seen. 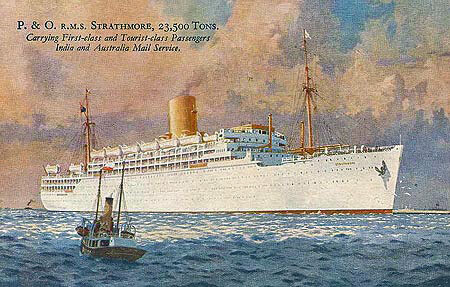 We are due to arrive at Colombo at 6am; the pilot is to come aboard at 4.30 am. We have bought tickets for a tour, so should see a little more of the Mystic East. Thank you so much for your birthday greetings. Daddy has given me some beautiful pearls and I am very thrilled. My cotton frocks are getting a good wearing and washing so I suppose I shall need some new ones for home. 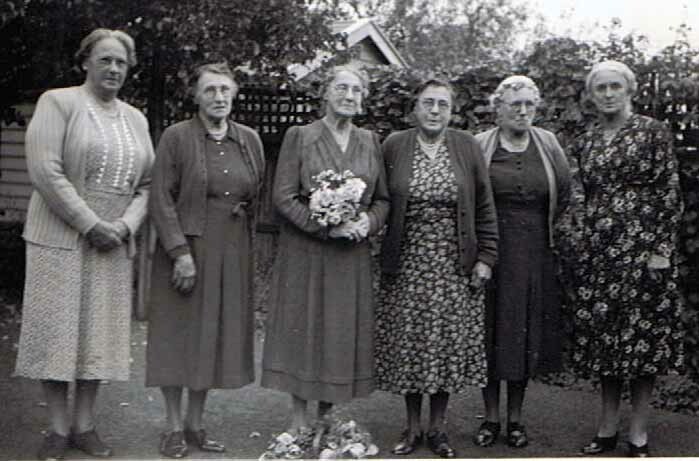 I’ve been jolted into blogging action by Ngaire’s birthday (she would be 108 tomorrow), and the return of the NZ National Party. My very one-eyed grandmother would have approved (she even linked Labor with a shortage of nice dressmaking fabrics at one stage). Tomorrow I’ll bake something suitable in her honour, or perhaps just iron the pillowslips. I’m sticking with the aviation theme this week. 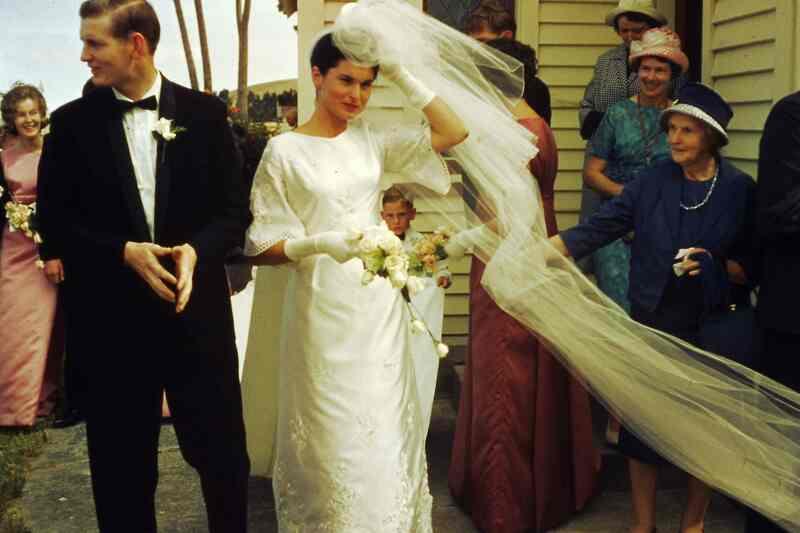 My parents met in Christchurch in 1958. 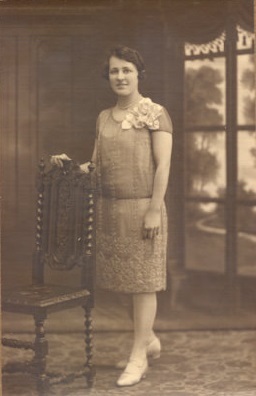 Dad – an Australian – was there on a working holiday, and pursued Mum after spotting her in the Durham Street Methodist Church choir. In early 1959, my mother flew to Melbourne to be reunited with him and to see (with a view to marriage) what she thought of Australia. It was to be the first of many Tasman crossings, backwards and forwards between Christchurch and Melbourne. It’s hard not to feel a little envious of a time where passengers dressed so well and where you may know the pilot by name. Melbourne readers looking carefully at the photo of my mother and uncle at Essendon airport may also envy the helicopter service into town. For those of you not from here, getting to our city’s airport is a journey that is neither convenient nor glamorous. Geoff White went on to become a distinguished pilot with Air New Zealand, flying their first DC-8 into Wellington for the initial trials. I think he may now live in Australia. And a post script. 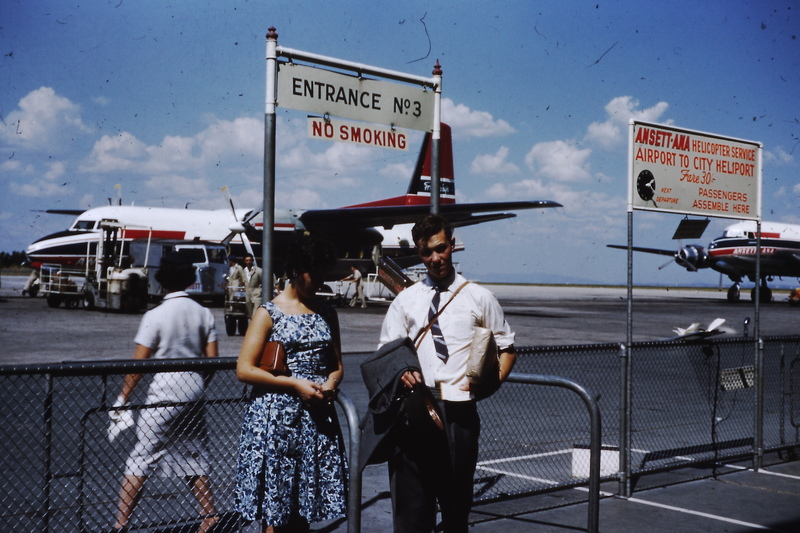 My father was hours late to pick Mum up in 1959, and she was left sitting on her suitcase outside the shed that served as a terminal at Essendon. A cleaner, locking up for the night, told Mum he doubted her beau would show, but he did and the rest is history. He has never been on time for anything since. 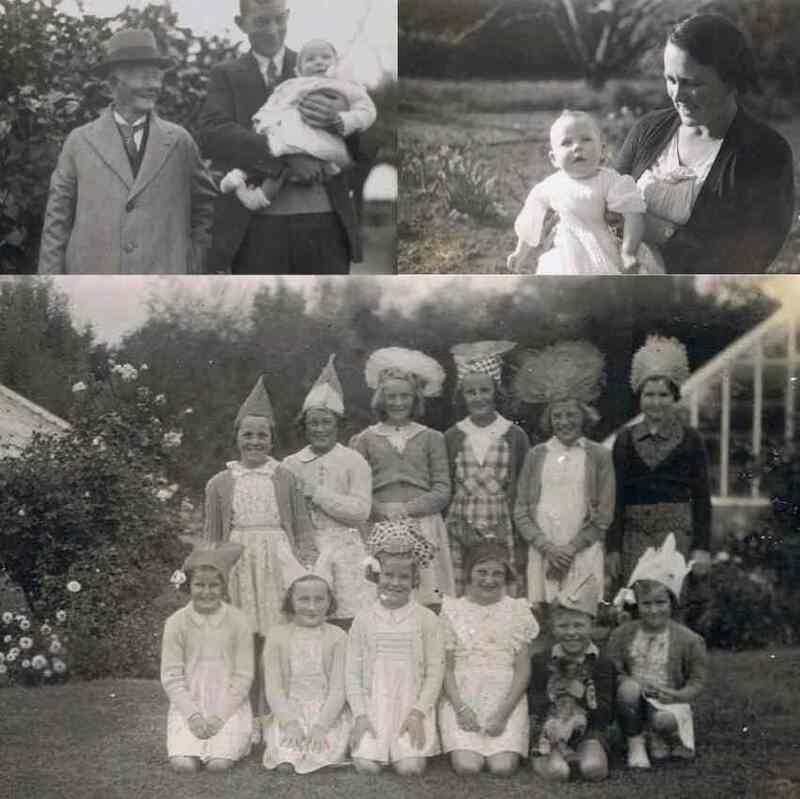 My mother Caroline with her father Gerald and Grandfather Henry Mottram(top left), with Ngaire (top right) and celebrating her birthday with friends at the orchard (second from left, back row). Carol’s 11th birthday. A party was out of the question on account of the Infantile Paralysis epidemic. Caroline’s 18th birthday. We gave her a Glory Box. Carol’s 21st birthday. We were busy all day preparing for the party. Phyllis came in the morning and I don’t know what we would have done without her help. She made the fruit punch and the fruit salad and did other things. For those of you with a crowd to entertain, here are Ngaire’s quantities for Fruit Punch. Keep in mind that these quantities are based on very lady-like 30z servings — she may have used Champagne saucers or even small tea cups. Also need mint for garnish. *Based on delicate 3 oz (85 ml) servings.